Hey, this is Joe from Broken Paintbrush writing a guest article for Creative Twilight. It’s only fair as Thor has written some posts for me! Here I want to share some of my thoughts on what makes for a great tutorial and how to make a tutorial yourself. Most likely you’ve at least seen the Paint Splatter articles in White Dwarf or some hobby tutorials online (like Thor’s article on creating ice effects). But if you are thinking about creating tutorials yourself, or improving ones you have already done, I break down what makes a good tutorial and the steps I use to create mine. Perhaps before we even get into what makes for a good tutorial, let’s talk about what its purpose. Why bother even writing a tutorial in the first place? By answering this question, we can frame what makes for a great tutorial and how to make one. The first one is typically the first thing you may have thought of. A tutorial is often believed to be synonymous to a step-by-step guide to guide its reader from nothing/beginner to a masterpiece/expert. Good tutorials take this a step further and provide ways to allow the reader to avoid, or at least get past, the things that could go wrong. Like not gluing on certain pieces before painting underneath them. Great tutorials do all this but make it seem so easy that even readers that doubt they could accomplish the task before are ready to give it a try now. 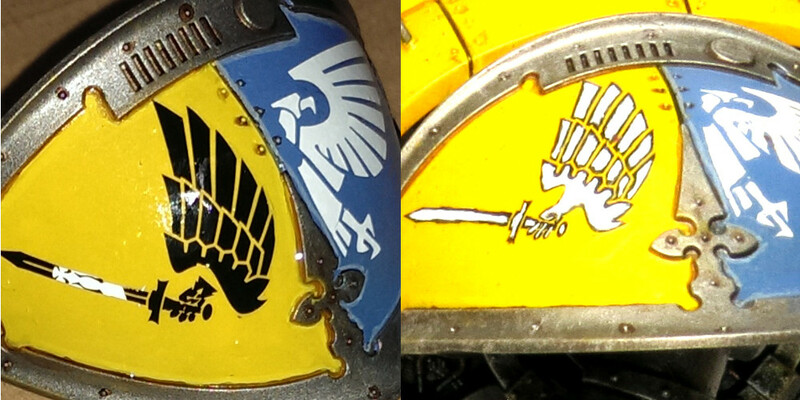 Doing freehand is intimidating for many painters, but my tutorial on hacking decals enabled others to give freehand a try. Now that we know the purpose of a tutorial, what factors go into making one? For our hobby, photos are invaluable to show each step. An excellent picture shows the details of what happened that action or an up close look to what part you are speaking. Pictures for tutorials may be completely different shots than when you create the ‘showcase’ pictures of the finished piece. 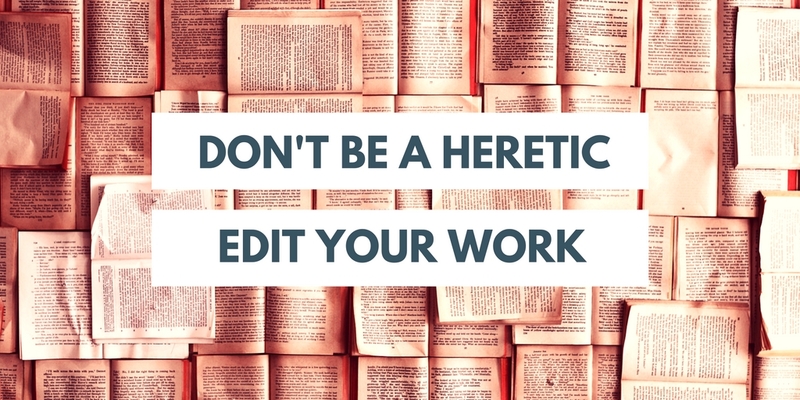 It’s not about showing off your amazing work, but rather showing the reader what they need to be doing next. While the saying goes that a picture speaks a thousand words, a tutorial is a whole lot clearer when it has text describing what the reader is looking at. So a good tutorial helps the reader understand the picture and describes the steps taken to get there and where to go next. Sometimes it makes more sense to use video to create the tutorial. This could be that it’s more complicated than pictures and text would allow for in a typical blog post (like my video on Photo Editing in GIMP). Or it may enable you to show in real-time how different techniques affect the model. Even within a video tutorial, you may incorporate text and pictures to clarify what video may be showing. Going the other direction, you may use a short video within a longer tutorial to demonstrate a particular step rather than a picture. When writing the description of each step, a good tutorial explains the task rather than the object. For example, if you are creating a painting tutorial, explaining the work would include what color of paint you are using, how you are applying it, and where. Telling about the object would be talking about the paint brand or quality of the sculpt. So this one is more general good manners of the internet, but for a tutorial, it is important to credit the source of pictures, great tips, or styles. On of the things that I love about this hobby community is how helpful so many people are, like all the hobby bloggers out there who make zero to little money but provide tremendous value to us following them. A way to give back is to help your readers find them. So if you picked up the idea for an individual step, or copying the distinctive style of someone else, give them a shout out. Armed with this knowledge on tutorials, how can you go about creating one yourself? Let’s walk through the steps I’ve been using and bring it all together. The first step is to write down the goal you want your reader to achieve. Is it to paint a certain color, a particular model, or a cool effect. The reason this is so important to start with is that it will form what steps take to create the tutorial. It also helps to narrow down to a specific goal to achieve. Next, I write up the necessary steps to go from beginning to end. What does the reader need to know and what steps will get them there. It doesn’t need to be detailed as those will come when you practice it and create the pictures. Rather, list out the steps and valuable tips you think you will go through. In some ways, this is the first draft of your tutorial, a way to get it down on the page. Now it’s time to run through the steps yourself and try it out. For more advanced tutorials this might be a practice run where you take notes along the way. It might also be the first few models you do with this technique (before you even decided to do a tutorial). I could also mean you run through your draft tutorial and take notes and pictures as you go. Either way, the idea is to run through your steps and make sure they make sense, and you didn’t miss anything. Take pictures, notes, and maybe even videos as you go. Even if this is an actual ‘practice’ round, the pictures and video will help make sure everything is working correctly as well. At this point, you’ve created your draft steps and run through them. You may have done a second (or more) take to ensure everything looks good. But now you have a great sense of all the steps and pictures/videos to use for your tutorial. It’s now time to write them up. 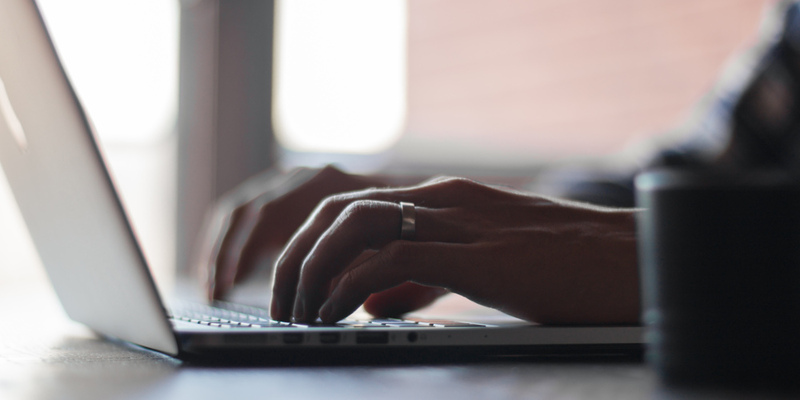 Be it a blog post, Facebook album, or PDF for an online magazine, it’s now time to create the second draft of your tutorial. I start with writing out the steps as sub-headings with quick text on each step. I then fill it in with the pictures and videos for each phase to help reminded me what text needs to be written to explain it. I can then add in the description of each step with tips and hints shown in the pictures. Finally, I add in an intro and wrap up for the post. The intro helps get a potential reader interested in your tutorial, describing the what and why of your tutorial. The wrap up may show some finished pieces that use the technique or preparing your reader for the next step. Cool, now you have a finished tutorial ready to post! Tutorial posts are one of those posts that live on for a long time. People will be searching for how to do what you solve and others will link to well-done tutorials (like I do in the Good Reads series). Because of this, tutorials are extra important to insure your spelling, grammar, and structure makes sense. Run your post through a spelling and grammar check tool. Print it and read it with a pen in hand. Read it out loud or have someone else review it. You would be surprised at what would have slipped through otherwise. This extra attention to details can make a huge difference in how people perceive your tutorial. So after doing all the hard work to create the tutorial, take a bit more time and review it at least once and edit any mistakes. Now you are ready! Publish your tutorial, share it with your friends and social media followers, and see what happens. 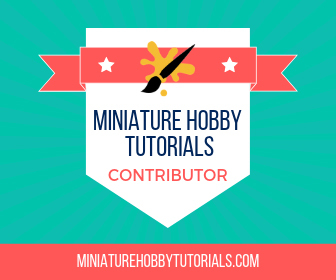 If you wrote the tutorial up as a blog post, you could think about submitting it to sites that focus on tutorials such as Miniature Hobby Tutorials, so that more people can find your work and learn what you shared. 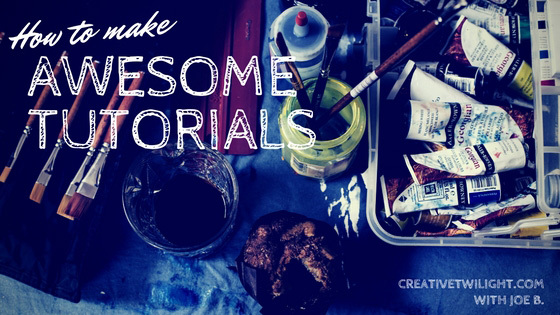 Tutorials are an awesome way to give back to the hobby community, bring people to your site, and are awesome. They are helpful for others to recreate what you accomplish and potentially skip over pitfalls you encountered. They do take lots of work but with some planning, including setting a specific goal, it can help make the whole process easier. In the end, you have a solid article that will bring people to your blog, magazine, or Facebook post for years to come. Do you have some other tips on how to make a tutorial that I missed? Hit up the comments below and share with the Creative Twilight community. A tutorial on tutorials, love it! Great job with this, and you make a lot of points I often overlook. It’s so easy to do the step-by-step piece, but putting it all together in a great format, covering everything you should, takes a lot of effort. And you’re right, tutorials live on for a long time, so taking the time to do them right is a must. It’s all a work-in-progress for me as well. Having written enough test procedures for work, sometimes I can come off as to prescriptive and still working on putting some life into the posts too. When I look back at my most visited posts, they are usually tutorials or guides (with a few odd ones here and there). Even with the gaming game, new models and companies coming out, and evolving meta, people still want to learn how to build and paint minis. Secondary advantage of video…you can hit multiple sources. Setup the video in youtube, and you can then have views on youtube and on the blog as well. It’s true! YouTube is yet another search engine that people are looking for how-tos. They are much harder to put together though (my first ones so far are pretty rough!). I should now do a tutorial on the tutorial for making tutorials. And then I could write a review about how your tutorial tutorial about tutorials goes way too meta and we should all switch back to flamers to purge the zenos! Great write up. You put a lot of thought into it (and probably followed your own advice) and the result is great. Lots of food for thought. I only wish you had written it before I did my How to make Twin Linked Devourers tutorial. Now I’m stuck with a tutorial that draws in people but that lacks a bit of quality. Oh well. If I would suggest anything it would be to end the tutorial by repeat the three most important things that you had brought up in the tutorial. You know, like Duncan does on Warhammer TV (thin your paint, be as neat as you can, paint multiple thin layer rather than one thick). There is nothing stopping you from updating the tutorial. Since you’re on WordPress you can update the post and change the published date to today. Not only will all the links to it still work, but everyone can check out your updated version. That is a good tip. I remember hearing it for presenting (Say it, tell them what you said, then say it again). I’ll have to add that in. Is it that easy? I might just have to take a second look at the tutorial. It’s really easy. I am always altering my articles every time I learn something new. I never change the publish date of my articles, however. It will put it back on your blog’s front page again though. That being said, that’s when you do an article indicating you’ve made some updates, and then link over to it. The people already finding it will continue to find it, whether it’s on your front page or not. That’s just me though. There’s no harm in changing the publish date. Yeah I haven’t actually republished anything either, but there are a number of old posts that I plan to update, combine, clean and some might become ‘new’ – or at least new enough that I plan to republish them. The alternative, as Thor points out, is to update the post, leave it dated as is, and just start linking back to it in new posts. One thing I would point out in particular is that video is not always the best format. It seems to become default for some people, but for some things (particularly conversions and unboxing/sprue reviews), I find photos and text are actually usually more clear. Right tool for the job. Very true on the right tool for the job. Though sometimes it is what the reader/watcher is looking for. Sometimes that’s in a video, sometimes pictures and text will do. I’ve been exploring the combination between my Good Reads (blog articles) and Watch This (videos with notes). Yeah, I don’t pick up information well from videos, so I tend to avoid them anyhow, but some stuff does work better one way or another. Something where the actual motion is important, some brush technique, perhaps, would be nearly impossible to show in still pictures. That’s a good use for GIFs too, keeps it short and to the point. Oh man. This is almost as meta as an Ultramarine painting an Ultramarine. Hmmm. Such a good write up and stupidly detailed. One thing that I have found is never assume the person reading the tutorial knows anything about what you’re talking about so be as verbose as you can about the entire process. The old addage, “Tell them what you’re going to tell them. Tell them. Then tell them what you told them,” can also be a good idea when writing tutorials. We are very fortunate to have such a visually based hobby where tutorials and explanations benefit massively from good photographs and video, as well. Great article, definitely one I’ll bookmark for later. It’s a very interesting subject and something I would like to learn more about. I’ve never been a huge fan of tutorial videos, I got some that I like but in general I like the written words better. For me it’s easier to absorb the techniques that way. It would be fun to try recording one myself one of these days. I design hardware, write firmware, paint miniatures, and am teaching other engineers how to improve their career.